Through the years, the World Cup has been a stage for new talents to announce their arrival. While the main focus of the tournament is on some of the legends and their quest to achieve greatness, most often the focus shifts to a star who has emerged from nowhere. Four years ago, Colombia's James Rodriguez conquered the show by being the top scorer of the tournament. He and Costa Rican goalkeeper Kaylor Navas were the findings of the tournament and both managed a big money move to the Spanish giants Real Madrid. French star Paul Pogba also emerged from a World Cup and made a big transfer that established his presence in high profile football. 2018 World Cup also witnessed some fairytales. Irrespective of their national teams' fortunes at the World cup, a few players have already guaranteed a move to one of Europe's high profile football leagues. Let us check out the 5 players whose value has raised significantly during the World Cup. It has been a return to the big stage for Villareal winger Denis Cheryshev at this World Cup. The 27-year-old was once been Russia's most glamorous player when he made a move to Real Madrid Castilla. In 2012, he became the first Russian player to play for Los Merengues in a competitive fixture. But persistent injuries let him down and what could have been a fairy tale ended up in successive loan-outs and transfers. However, Cheryshev lit up the hopes for the hosts by scoring 3 goals in the group stages. 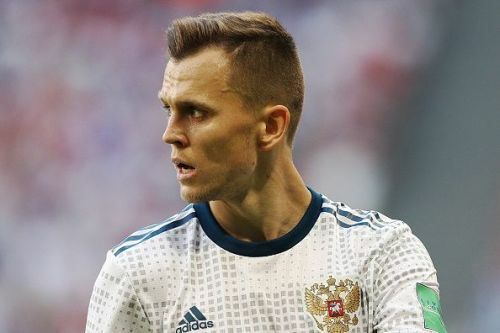 Cheryshev played in all of Russia's 3 group stage matches and spent 178 minutes on the pitch. He scored 3 goals with an incredible strike rate of just under 60 minutes per goal. He has also shown an impressive accuracy with 5 of his 8 shots hitting the target. The winger also delivered 14 crosses into the box. He has surely made a statement about what he can do barring the injuries. As a result of his efforts, he is already linked with rumors of a move to Real Madrid according to reports from Daily Star.